Access to mammograms for early detection and treatment of breast cancer has never been more important, yet Nebraska ranks 40th in the nation in the percentage of women 40 and older who report having a mammogram within the past two years. Methodist is doing its part to eliminate any barriers for breast health with the convenience of the Methodist Mobile 3D Mammography Coach, the first and only of its kind in the region. The coach will offer 3D digital mammography screening technology on location to the uninsured and underinsured as well as the business community at large. 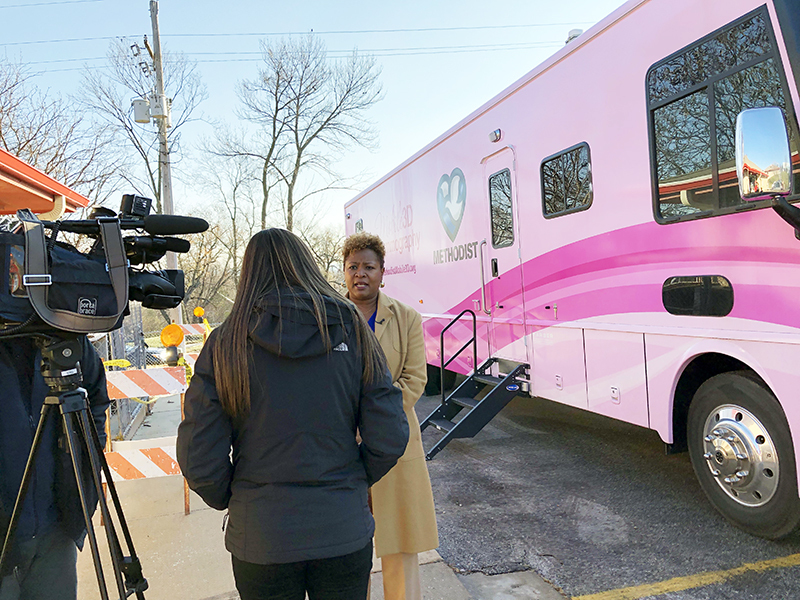 The Methodist Mobile 3D Mammography Coach was made possible through donors, grateful patients and Methodist employees who contributed more than $674,000 to purchase the coach. The bright pink motorized coach made its debut at OneWorld Community Health on Wednesday, Nov. 14 and Charles Drew Health Center on Friday, Nov. 16. Methodist partnered with First National Bank and Susan G. Komen Great Plains to offer these potentially lifesaving screenings.